Dr Michael Dikeman is Emeritus Professor of Meat Science at Kansas State University, USA. He is a past President of the American Meat Science Association and of the Federation of American Societies of Food Animal Sciences (FASFAS – now FASS). His many honours include the American Society of Animal Science Fellow Award and induction into the Meat Industry Hall of Fame for his outstanding contribution to meat science. He is joint Editor-in-Chief of the three-volume Encyclopaedia of Meat Science. 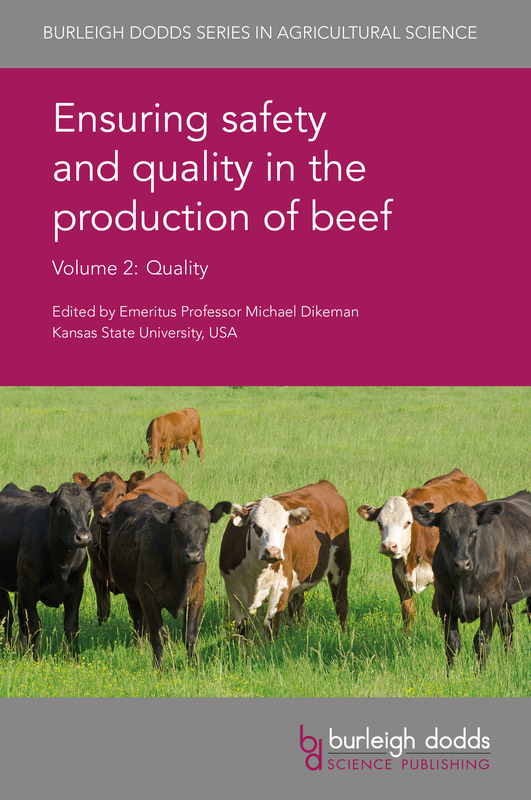 Ensuring safety and quality in the production of beef Volume 2: Quality will be a standard reference for animal and food scientists in universities, government and other research centres and companies involved in beef production. It is accompanied by Volume 1 which reviews safety issues in beef production. "Professor Dikeman appears to again have assembled an absolutely outstanding cast of experts to develop a foundational text dealing with beef quality. This text will no doubt serve as an extremely important reference to students and industry. Congratulations to Professor Dikeman and all of the authors on a marvellous effort!" "Overall, this new Burleigh Dodds text, Ensuring Safety and Quality in the Production of Beef, is a breath of fresh air. It covers a mountain of factors that can contribute to beef demand. It assembles a truly remarkable set of authors; scientists that have spent a career on their specific topics. This text is a “must read”! !